Quickly absorbed, maximum hold mousse. Long-lasting hold without build-up. 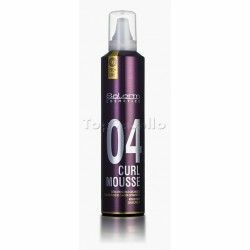 Enriched with hyaluronic acid for hydrated and well defined curls. With anti-humidity and active color-protecting ingredients. Free from alcohol.